Driving to the back parking lot of Santa Monica Seafood, I wasn’t expecting much. The rear parking lot and subtle entrance had be fooled. I mean, that’s where the dumpster and all the fish guts are. If I had only just walked to the street entrance, I would have realized how judgmental I was being. 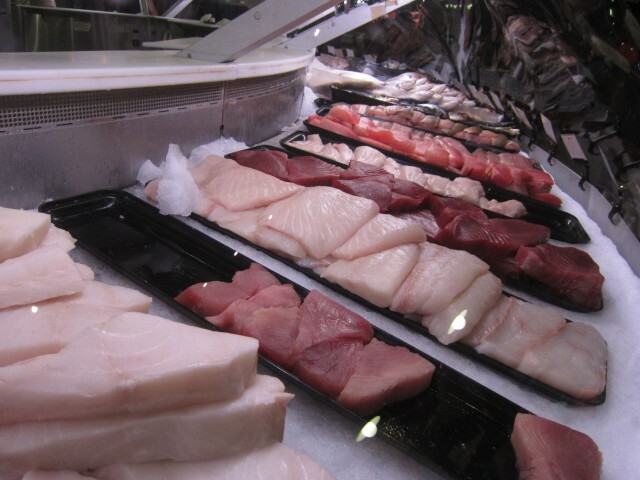 Once I entered the market/restaurant, I was excited for the food — Center stage was a massive fish market. To one side you have every condiment under the sun for fish and seafood. 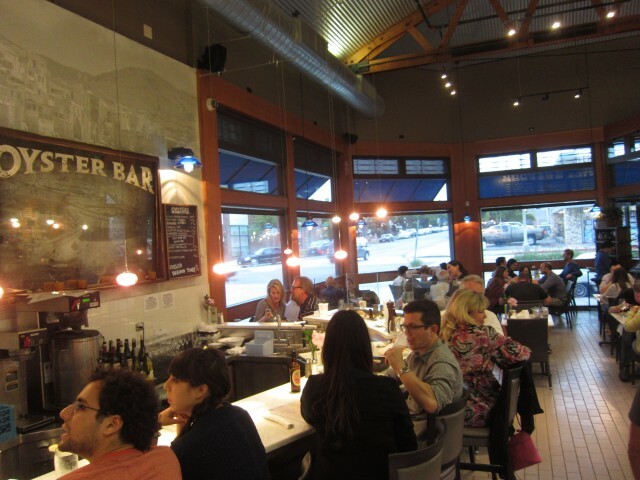 On the other, you had a pretty legit oyster bar and dining area. Surrounded by seafood, I was hungry for something special. 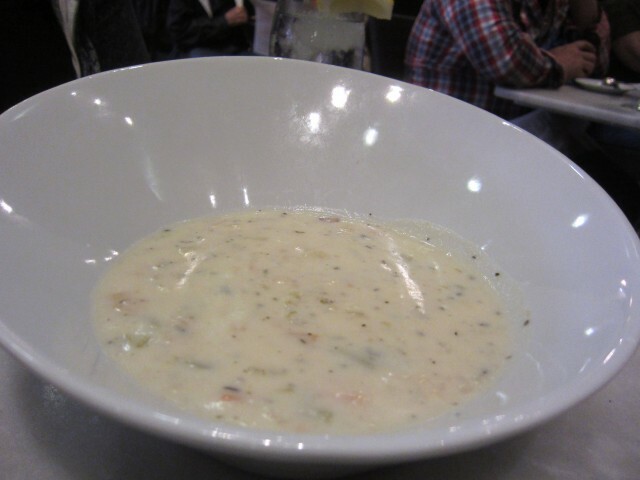 We started off with clam chowder. It wasn’t a killer clam chowder — don’t let the “seafood market” thing fool you. It was a good bowl, creamy and thick, but the clams were a bit lacking. Also, the ingredients were different as well. It wasn’t just purely cream, oysters and potatoes. It also contained carrots and peppers which I didn’t really appreciate. I am a purist when it comes to clam chowder — the less the amount of added ingredients, the better. I never really order salmon at restaurants (I have my reasons). The spicy salmon burger looked appetizing enough for me to order it. 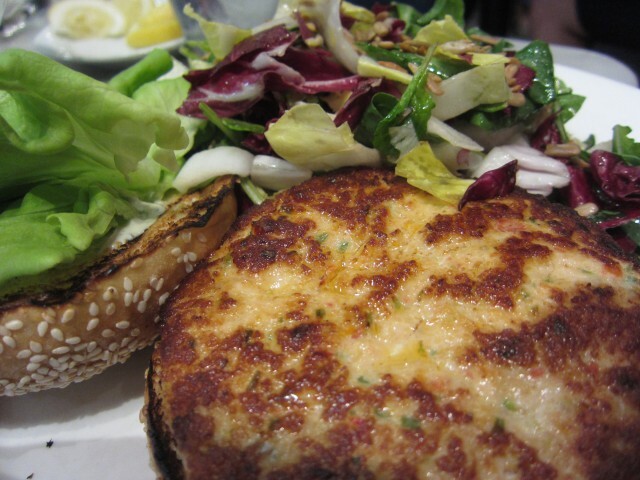 With a sesame roll holding everything together, the salmon burger tasty. With cucumber, organic greens, and tomato, the healthy part was taken care of. What really saved the sandwich was the gremolata mayonnaise. Packed with zesty flavors from the lemon and garlic, I wish I had a lot more of it. The balance of meat and bread was a bit off — the help of more sauce would have been better. The side salad sunflourseeds on top was a perfect companion to this sandwich. When I saw lobster roll on the menu, I was full of high spirits. I came for seafood, and it looked like I was going to get it! 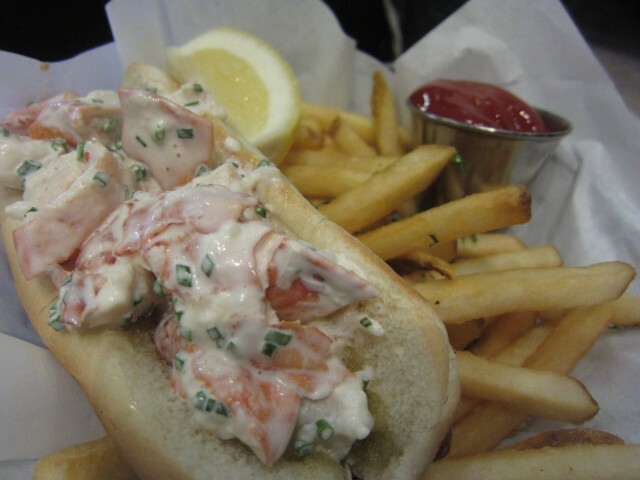 The Maine lobster roll had fresh lobster meat with lemon aioli and chives. Everything was perfect until everything wasn’t. I was bummed that they used a hot dog bun. No buttered and toasted split top buns here. The toasted hot dog bun just made it into a stale and hard state — it was all downhill from here. The lobster wasn’t seasoned or salted, and the lemon aioli taste more mayonnaise-y than anything. The french fries were decent, but nothing special. I guess for the price though, it was comparable. A lobster roll is still a lobster roll, right? 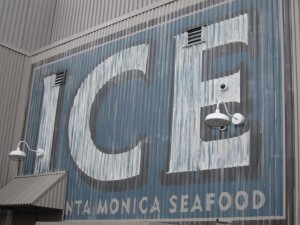 At the end of the day, I can appreciate Santa Monica Seafood. The market selections are unique and the fish market aspect is amazing. Though the fresh fish are a bit pricey, the food items are somewhat affordable. Looking at interesting seafood condiments and possibly sucking down a few oysters isn’t a bad way to wait for a table. All in all, it was a positive experiance, as far as seafood goes.